This video will describe how to organize and save your post so that it shows up in the location and is searchable by your classmates. This video will describe the basic functions of the content editor and explain how to add media and headers to your content. This entry was posted in Inquiry, Project Showcase on April 1, 2018 by kevin ault. This is a youtube video about karting and tire pressure. It is an informational video explaining how to get the perfect tire pressure. Getting the perfect tire pressure is important because when the tire heats up, the pressure gets high which causes the tires to lose grip. If you set the pressure to high, the pressure will rise and you will lose tire grip early in the race causing you to lose time. If you set it just right, your tires will have grip the whole race. This video will help because of how important it is to have the perfect tire pressure. This entry was posted in Inquiry, Uncategorized and tagged air pressure, driving, karting, tires, youtube on March 9, 2018 by kevin ault. This is the karting tire I use in big racing competitions. This tire is the Le cont Red tire. It is the harder compound of the two Le cont tire compounds. Harder compounds of tires are more often used for junior karting competition, which is what I race. Tires are the most important part of karting as the karts have no suspension meaning tires are the only thing keeping you on the track. This entry was posted in Inquiry, Uncategorized and tagged driving, karting, Le cont red, tires on March 9, 2018 by kevin ault. This is the tire pressure gauge I use in my kart racing career. 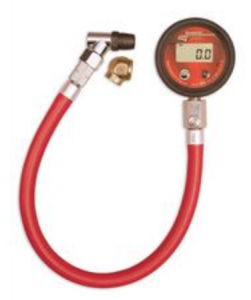 A tire pressure gauge like this when plugged into the tire displays the air pressure in the tire and is able to take hair out of the tire with the push of a button. In karting tire pressure is important because when the tires get to a certain heat the pressure rises and as the pressure rises the tires start to lose grip. Setting the right tire pressure before a race helps a lot during the race. This entry was posted in Inquiry, Uncategorized and tagged air pressure gauge, driving, karting, tires on March 9, 2018 by kevin ault. This chart is much similar to the chart in my module 2 post 1. The difference is this chart refers to a different tire brand and another one of the tires I race with. The lower the number, the softer the tire, but the softer the tire the shorter its life. This chart will help me to figure out how much the compound of tire makes a difference. This entry was posted in Inquiry, Uncategorized and tagged driving, karting, MG, tires on March 9, 2018 by kevin ault. This is a tire chart for the tire maker Bridgestone. 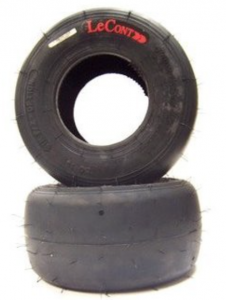 Bridgestone is a very popular tire brand in karting. 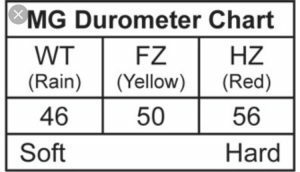 As I am focusing on tires for my project, this chart will help because Bridgestone tires are one of the many types I use and it shows the info I need in an organized format. This info shown is the durability of the tire. The softer the tire, the faster the lap time but the less amount of laps the tire will live for. On this chart the lower the number the softer the compound. This will also help because it will help me find out how much difference the compound of the tire makes. This entry was posted in Inquiry, Uncategorized and tagged bridgestone, driving, durometer, karting, tires on March 9, 2018 by kevin ault. Although the site is titled the geometry of dance, there are actually a lot of examples for how symmetry is involved as well. I wanted to reuse this site because it was becoming quite difficult for me to find other websites that I had’t used already, and I remembered that this site had a lot of great examples. Although this is a slideshow and there are no words, there are a lot of pictures that are easy to visualize and that are pretty self explanatory. This entry was posted in Inquiry, Uncategorized and tagged ballet, Math, symmetry on March 8, 2018 by kevin ault. This entry was posted in Inquiry, Uncategorized and tagged dance, glide reaction, Math, reflection, rotation, symmetry, translation on March 8, 2018 by kevin ault. This power point presentation talked about several different forms of math in general, but once again I just focused on the symmetry portion of it. The power point basically explained that dancers need to be very symmetrical.Often, formations in a dance create reflection or rotational symmetry. Also when dancing with a partner, dancers often use both reflection and rotational symmetry. It also explained that dancers are constantly moving their bodies across the stage so that it reflects the same consistent pattern. This entry was posted in Inquiry, Uncategorized and tagged dance, Math, reflection, rotational symmetry, symmetry on March 8, 2018 by kevin ault. This website talked about several different kinds of math involved in ballet however since I narrowed my topic to symmetry and ballet I only focused on the symmetry portion of the website. This website talked about both symmetry and asymmetry. It explained that if something has symmetry then it can be rotated, shifted, or reflected and still end up looking the same. When watching a choreographed dance, one thing you’ll notice is the use of the symmetry of motion, in both that of an individual dancer and that of a group.Another thing you’ll most likely notice is the use of asymmetry as a method to break the eye from the scene, or to demonstrate dissent within the piece. This entry was posted in Inquiry, Uncategorized and tagged asymmetry, ballet, dance, Math, symmetry on March 8, 2018 by kevin ault. Branko Grunbaum Remembered--A Great Geometer!